Numero Uno Web Solutions (www.NumeroUnoWeb.com), a fast-growing Internet marketing firm that caters to small- and mid-sized business-to-business (B2B) and business-to-consumer (B2C) companies, is commenting on how retail e-commerce sales in Canada are projected to climb 16.8% year-over-year to approximately $30.0 billion in 2015. Libarian explains that e-commerce will continue to attract a larger percentage of retail sales. Between 2014 and 2018, e-commerce is forecast to increase as a share of total retail from 5.2% to 8.2%. The year-over-year growth comes as more and more Canadian consumers become more accustomed to shopping online. In 2015, the number of Canadians who research products online will increase by 3.2% and account for 80% of all Internet users. But the number of people who actually make an online purchase is growing at twice the rate, as roughly 70% of Internet users in Canada will make at least one online purchase in 2015, according to Libarian. Unfortunately, the data suggest that almost half of all Canadian e-commerce sales are going outside the country. The latest data show that 34% of online sales occurred in the U.S., while Asia-Pacific made up 10% and Europe accounted for three percent. Numero Uno Web Solutions is one of the top Internet marketing firms due to constant innovation and overall customer satisfaction. 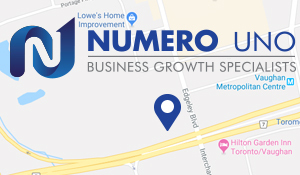 For more information on Numero Uno Web Solutions, and to discover how it can help maximize a company’s search engine optimization and online presence, visit https://numerounoweb.com/sitescore/ or call Numero Uno Web Solutions toll-free at 1-855-SEO-XPRT (1-855-736-9778).